A freelance cartoonist in the 1940’s and 1950’s, he contributed features to Bell Features and Educational Projects. “Just Kiddin’ Around.” Canadian Heroes. 5-3, June 1945: 60. 5-4, July 1945: 31. 5-5, September 1945: 48. 5-3: June 1945: 45. 5-5: September 1945: 52. “Barnacle Bull.’ Active Comics, 25, no date: 16-18. “Buzz And His Bus.” Active Comics, 25, no date:. 34-36. “J.C. Flatbottom.” Active Comics, no date. “Kernel Korn.” Active Comics, no date. “Loop The Droop.” Active Comics,18, no date: 35-36. 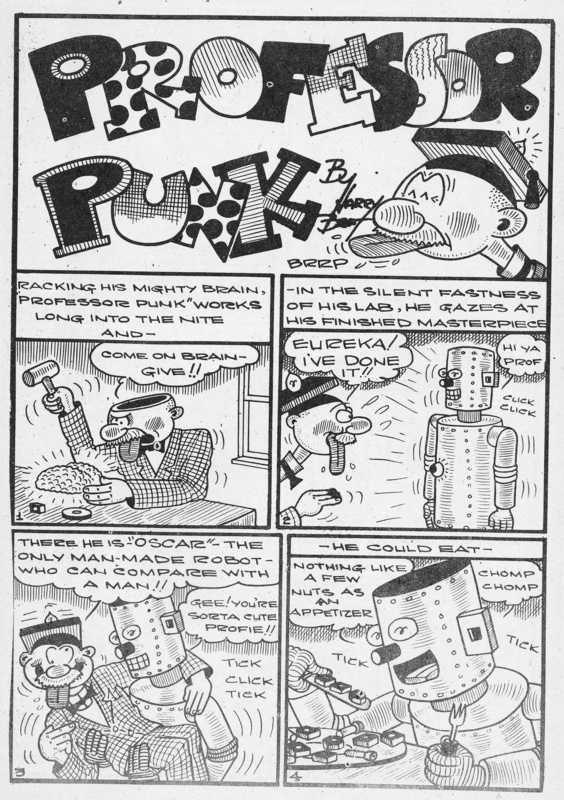 “Professor Punk.” Active Comics, no date. 15: 29-32. 19: 23-24. 26: 7-8.